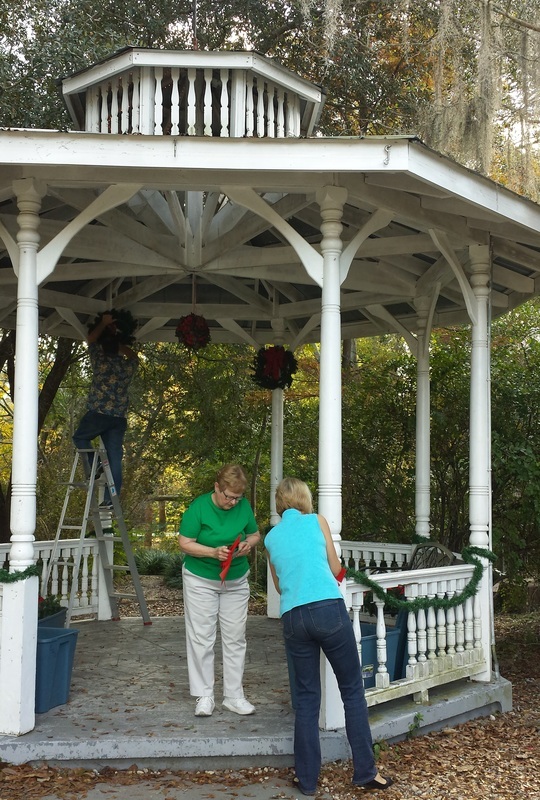 Community Involvement and Special Events - Covington Garden Club, Inc. 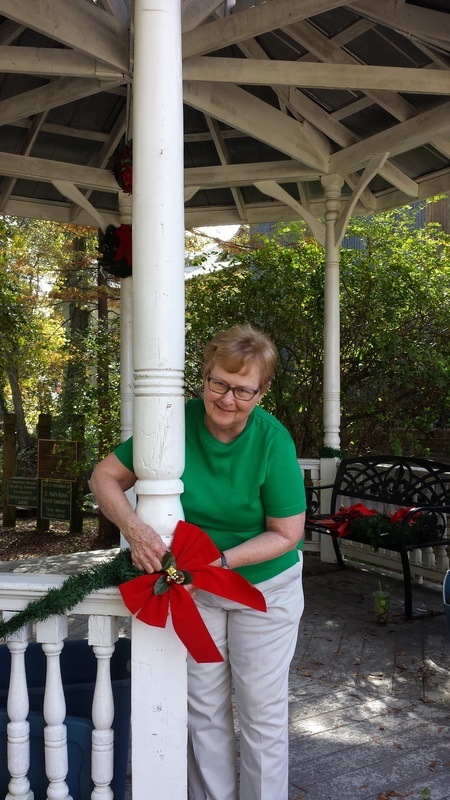 The Annual Flower Show, held the first Thursday of April, gives the members an opportunity to share with others the specimens of plants that are thriving in their gardens, as well as their designs created from plant material. Since we are a Federated Garden Club, our plants and designs are judged by members of the National Association of Accredited Flower Show Judges in accordance with the Handbook for Flower Shows. Awards are conferred on the best specimens and designs. Always a beautiful show, it is truly an opportunity to learn more about plants and art. The public is encouraged to come to our show and to appreciate the exploration of gardening as exhibited by our members. 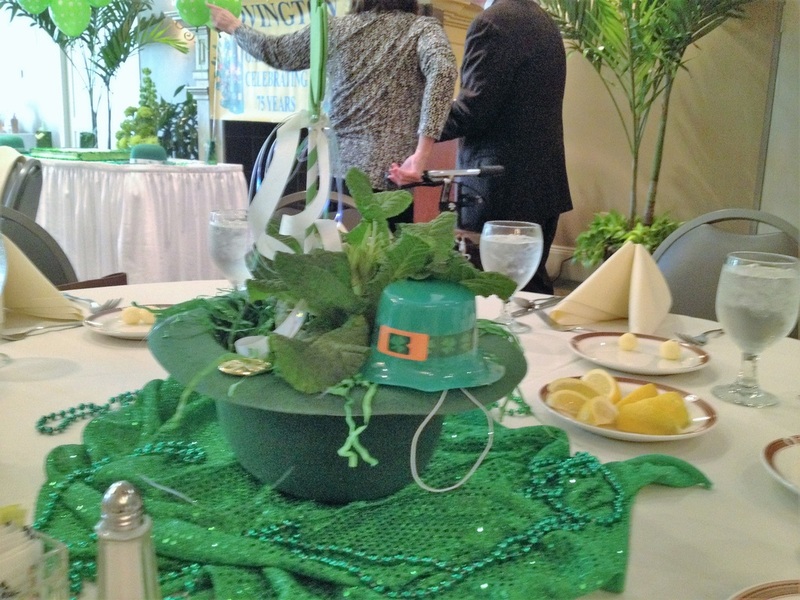 Our biggest fundraiser is an annual Springtime luncheon. 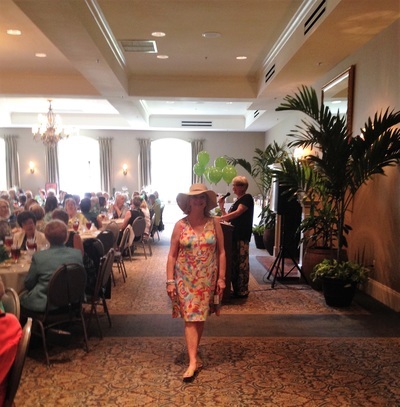 We enjoy a delicious lunch, a fashion show - courtesy of Belk Department Store - and, of course, a fabulous array of raffle and silent auction items. 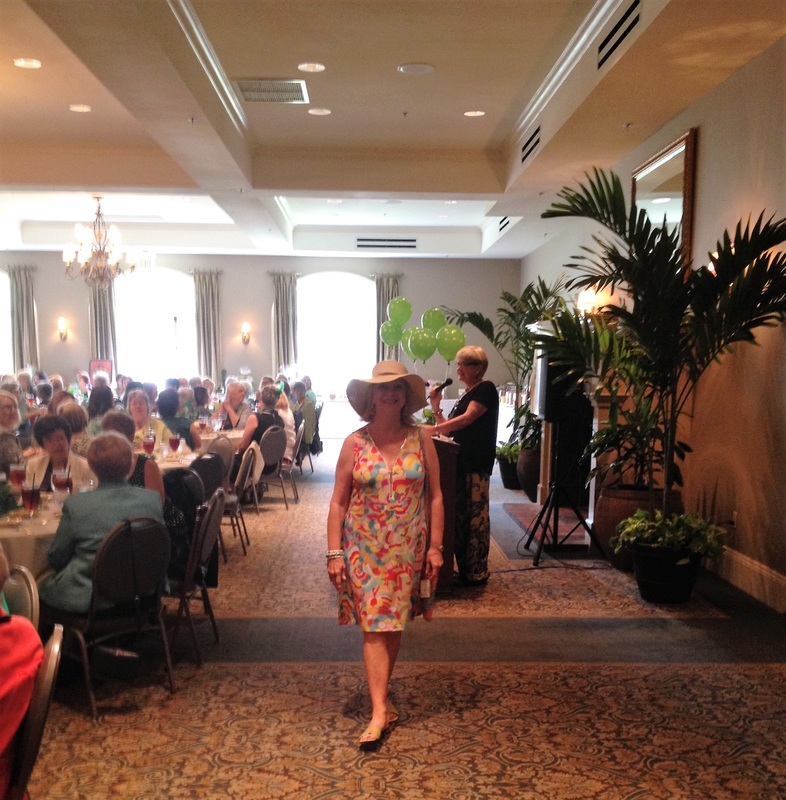 This past Spring we had over 85 ladies in attendance including former Louisiana Garden Club Federation President , Jeanette Gatzman and LGCF District VI Director, Nancy Delahaye. The response continues to grow and this allows us to give back to the community by maintaining two garden projects, Triangle Park and the Healing garden. Both are special places in Historic Downtown Covington, La. used for concerts, weddings, and meditation. 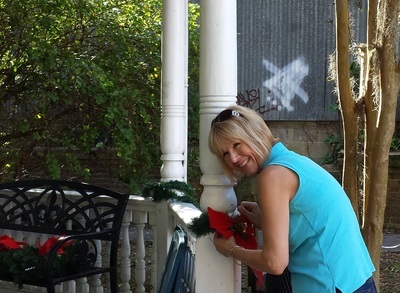 This also supports our "Garden of the Month Award" to both a residence and business for their beautification efforts. Last, but not least, this fundraiser has allowed us to give an annual $500.00 scholarship to a senior at Covington High School with the highest grade in horticulture every year since 1974. The Covington Garden Club contributed to the Memorial Day Reception by supplying the basket and wrapping of a gift for the oldest Veteran and the Veteran with the most service. This event was sponsored by the Covington Heritage Foundation and the City of Covington. Betty Cronin, a member of both the CGC and the CHF gathered gifts for the baskets from merchants in the Covington area. Many other CGC members were present at the event. The CGC was privileged to contribute to such a great event. We donate to the Covington Food Bank which serves 2800 families in St. Tammany, Washington and Tangipahoa Parishes. Our club gives a yearly monetary donation of $ 100.00. This year we collected an additional $550.00 from our members. We also contributed 93 pounds of food to help struggling families during the holiday season. We will hold another food drive at Easter. This picture of Suzi Roux presenting the donations to Covington Food Bank Development Director, Jamie Andrepont. 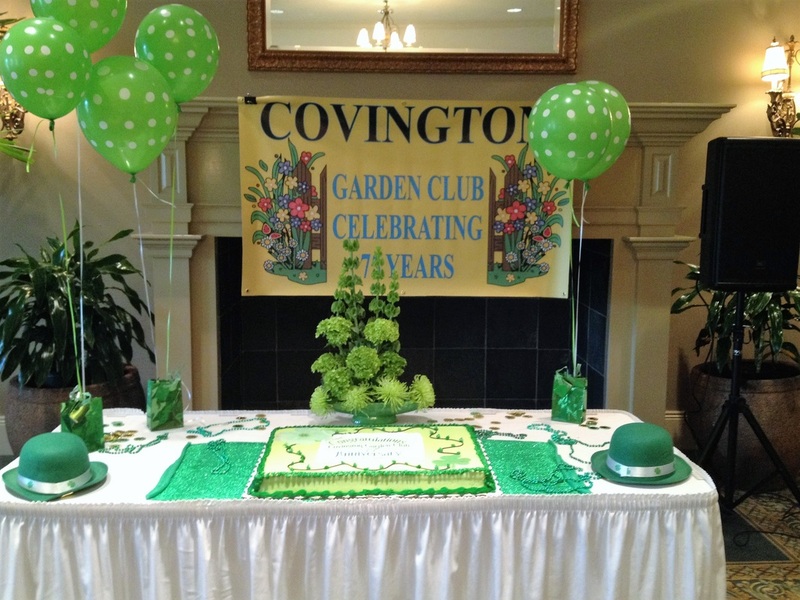 Covington won District VI, Category F - Louisiana Garden Club Federation Cleanest City Contest 2015.The hard work and determination of the Covington Garden Club, led by member Betty Cronin helped to win this award. Betty and her volunteers worked tirelessly on the Cleanest City Committee, along with Keep Covington Beautiful, Covington City Councilmen, Covington Public Works, City Staff, and the Covington Community, who joined together and played a significant role in earning our City this title. We had a total of over 110 participants representing many organizations in the area and concerned citizens and the Garden Club was extremely well represented by many energetic and helpful members. 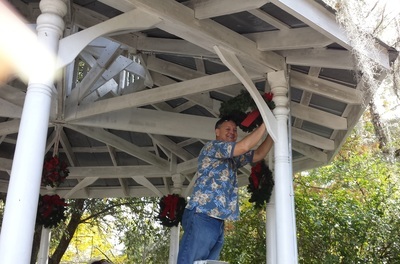 The Garden Club, represented by President Kyle Martin and Recording Secretary Karin Wiseman helped with replanting the planters in Downtown Covington. 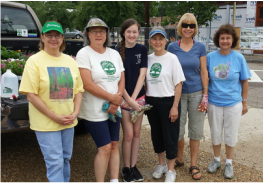 Earth Day was celebrated in Downtown Covington on Saturday, April 25, 2015 when The Covington Garden Club helped Keep Covington Beautiful with their 2nd Annual Shredding Day Event. More than 100 cars of residents came through to have their documents destroyed in a safe, Earth friendly way. The individual documents were professionally shredded by IShred for the event. The shredded remains of the documents are later recycled and turned into paper towels. The new Earth Day Flag belonging to the CGC helped proclaim Earth Day in Covington. The Garden Club participated at the Covington Elementary School Second Grade Bug Fest. Beekeeper Betty Cronin and her husband Mike made a fun presentation about the importance of bees and brought their own honey to taste. GGC members made pencil bees with the kids to take home and Carol Llull read “the naughty bee” book. Kids and CGC members had a wonderful time, smiling faces all around. CGC donated "The Frightened Frog" book to the St. Tammany Parish library in Covington. 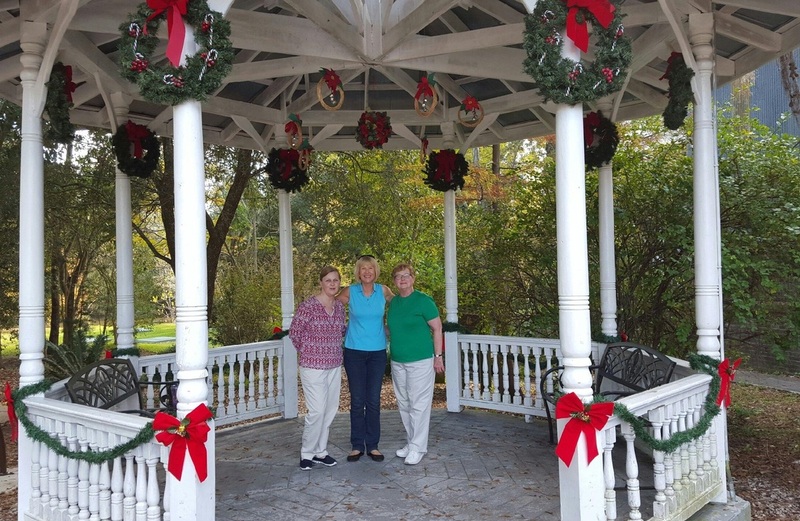 Sue Ryan, Branch Manager of the St. Tammany Parish Library, Covington branch, Lynn DiVincent, Vice-President of the Covington Garden Club.